Laura is a qualified toxicologist and chemist accomplished in her field, with more than ten years’ experience in health, safety and environmental issues, as well as chemical compliance. She is an experienced toxicology trainer, consultant and published author of several books on toxicology. 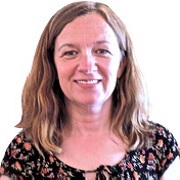 Laura is also a contributor to and trainer of our incredibly successful 'Beginners Guide to Toxicology' eLearning course.